These metallic, often iridescent black lichen are extremely common on small twigs alongside Vulpicida canadensis here in our PNW Ponderosa Pine forests. They can be found throughout the Rocky Mountains, Sierras, Cascades, and some mountainous regions of central Spain. Their black color comes from a yet identified pigment. 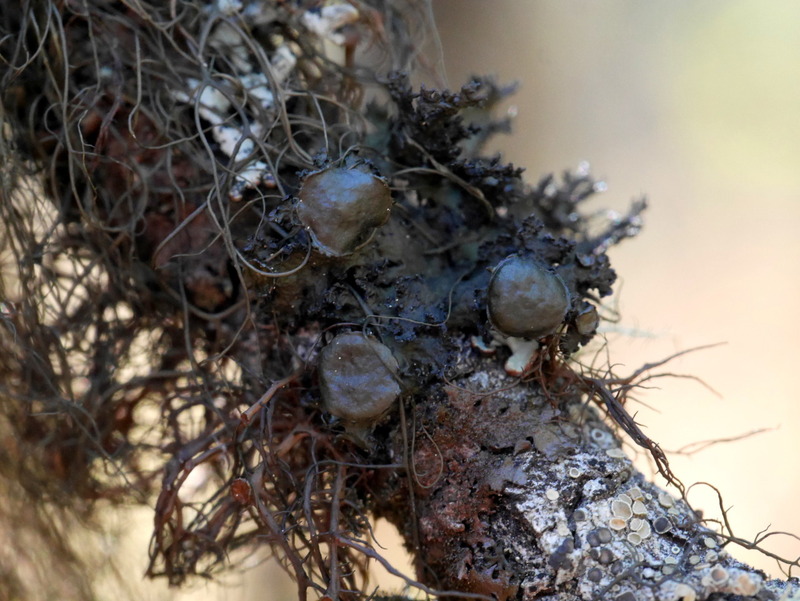 The stringy lichen in this image is Nodobryoria abbreviata, a Bryoria-like lichen with prominent apothecia (reproductive discs). I’ve found this species to be particularly common alongside Cetraria, Vulpicida, Letharia, and Hypogymnia on Pinus twigs here in western Montana.